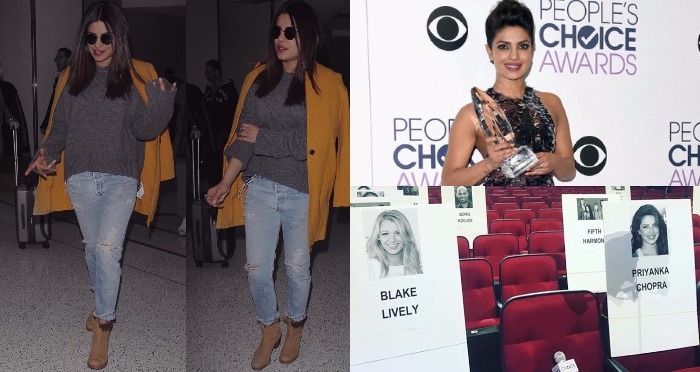 International actress Priyanka Chopra(well, we can call her as she is also IMDb’s most popular celeb beating Jennifer Aniston & Leonardo) has just arrived Los Angeles to attend People’s Choice Awards(PCA). PC is been again nominated at PCA for ‘Favorite Dramatic TV Actress’ and is all geared to attend the awards night. Last Year, this bold and intelligent lady took home the award for Quantico series. This is the second time that Priyanka Chopra is been nominated for PCA. We are eagerly looking forward to see our Desi Girl’s style outfit at PCA’s night and we know for sure she is gonna rock the floor, again! We will bring yo her tonight style statement straight from the LA, stay tuned. 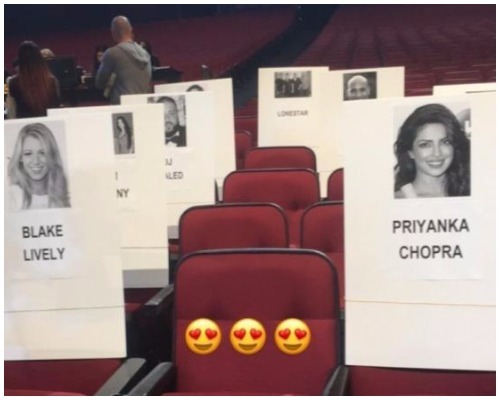 Meanwhile, we wish Priyanka Good Luck! Previous : Bigg Boss 10: Here’s Everything You Want To Know About Monalisa’s Wedding With Vikrant Singh Rajpoot Inside The House!